4. 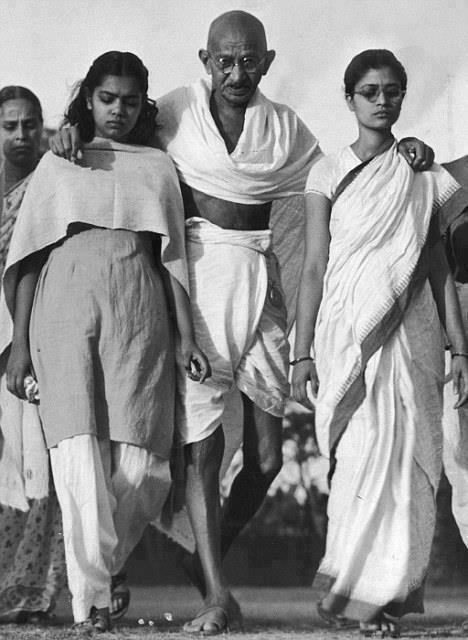 In his whole life Gandhi kept on shouting that, he is in the supports AAHINSA. However, at the time of Second World War he himself sends Indian army for the fight from England side. AAHINSA kaha geye uss waqt? Britishers failed in hanging Bhagat singh thrice since there was a stiff resistance by people, fearing a backlash Britishers approached Gandhi. Finally after consultation with Gandhi they hanged Bhagat Singh in the early hours when people did not expect this to happen, as the matter was taken to Gandhi they were awaiting Bhagat singh's release. Gandhi had signed the document to hang Bhagat singh, a cowardice act.